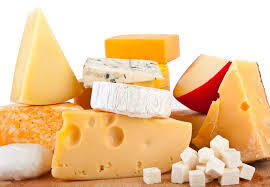 A very partial listing of commonly carried cheese at Cheese & Crackers. Note - many of these cheeses are from small producers. When you want the very best in cheese, you want Cheese & Crackers.ducers whose inventories vary widely throughout the year. We try to keep them in stock at all times, but cannot guarantee avaliblity. We stock the best we can find - each and every single cheese is hand selected by a member of staff (professional cheesemonger) and judged to be of the highest quality. We don't just place orders, we visit farms, we speak with producers and we taste every single product before it is offerred for sale. Note: We often have additional cheeses beyond the list below - stop by either one of our stores to see our extensive display of cheese.